Nigeria’s Catholic bishops have in no uncertain terms asked their new president to enact and enforce policies that—in accordance with the country’s constitution—would guarantee fair treatment of Christians in the north of the country where they are often relegated to second-class status. Meeting May 2, 2016 with President Muhammadu Buhari, the bishops’ demands—voiced in a statement signed by Archbishop Ignatius Kaigama, president of the Catholic Bishops’ Conference of Nigeria—included Church-state collaboration in the “reconstruction of post-Boko Haram Nigeria;” a measure of state support for Church-run schools, which in many cases serve a significant number of Muslim students; and, in northern Nigeria, the removal of obstruction of official permission for the Church to obtain land and build churches. The bishops also ensured President Buhari of their commitment to “turning our country around” with regard to finding ways to combat widespread and worsening poverty affecting Christians and Muslims alike. The prelates also called for urgent action to tackle the persistent trend of violent clashes over the control of land between nomadic peoples and farmers. 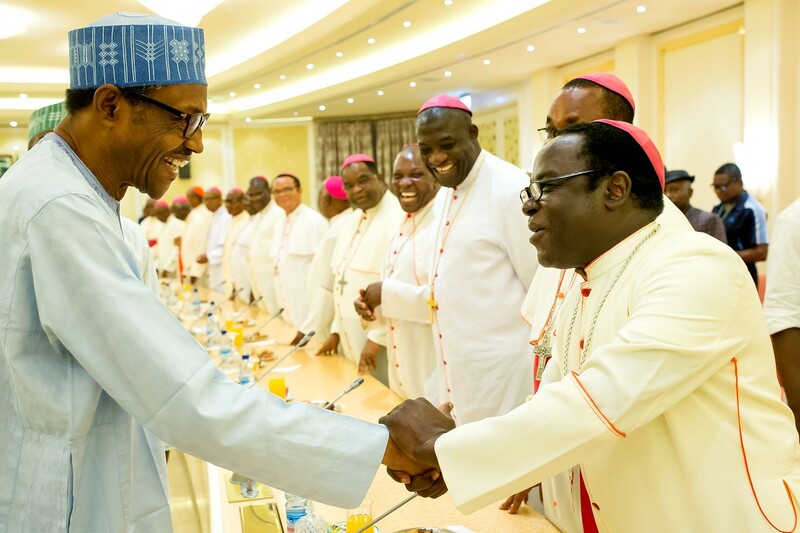 Just prior to meeting with President Buhari, Bishop Matthew Kukah of the Diocese of Sokoto in northern Nigeria commented that Church-run schools have a great potential as places where Christians and Muslims can mingle and form bonds of friendship. Part of the problem, the bishop said, is that Muslims in the north simply are not exposed to Christians at all, a phenomenon which has led to the persistence of a negative view of Christianity as an inferior religion associated with Western exploitation of the country in the colonial era.